Fourth Congress of China Agricultural Machinery Industry Association and the " revitalization of the equipment manufacturing industry Agriculture Seminar" held recently in Beijing . During the meeting , experts and scholars on how to revitalize the agricultural equipment manufacturing in the discussion. Experts believe that China's agricultural machinery industry is in the best period of development in history , to take full advantage of this favorable period , adhere to independent innovation , enhance the technological level of China's agricultural machinery industry. The following trends: the first is the regional agricultural development . Development of agricultural mechanization will be in accordance with local conditions, cost-effective , safety , environmental protection principles , and the rest of the layout around the advantages of regional agricultural development of characteristic agriculture,agricultural mechanization play the comparative advantages of each region , building layout is reasonable, appropriate scale, highlight the advantages of the development pattern , and agricultural industrialization, standardization , quality development combine to form a distinctive regional development,promote agricultural mechanization healthy , harmonious and sustainable development. The second is the agricultural agronomic integration. Mutual adaptation of both agricultural and agronomic objective requirements of the development of agriculture , but also the direction of development of agricultural mechanization.With the acceleration of China's agricultural modernization, agricultural and agronomic will be more closely combined with each other , which is the world's agricultural scientific and technological progress of the basic law.To develop conservation tillage , universal application of advanced agricultural machinery technology , equipment , and promote agricultural efficiency of the section , and sustainable development. The third is the job service industry. Thriving and diversified large agricultural machinery service organizations , has become an important market players in China's development of agricultural mechanization . Industrialization of agricultural services will be the depth and breadth. With large agricultural machinery and agricultural cooperative economic organization is a multi -level, multi-form agricultural social service network will accelerate the development of cross-operating areas and will continue to extend the scope of services . 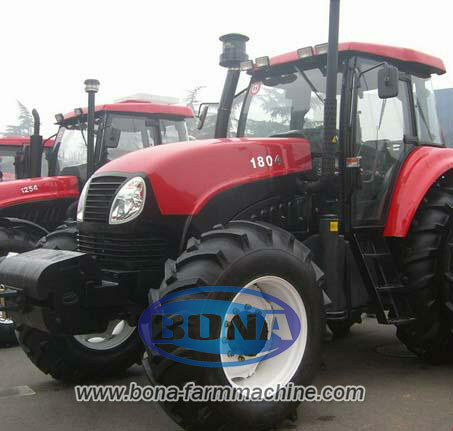 The fourth is the high performance of agricultural products (mini tractor,farm tractor). Adapt to new situations and new requirements for agricultural development , agricultural machinery products will accelerate the pace of upgrading at different levels to meet demand, the gradual development of the high-quality , high-tech , low-power and multi-direction,more focus on improving product quality and supporting integrated application technology.